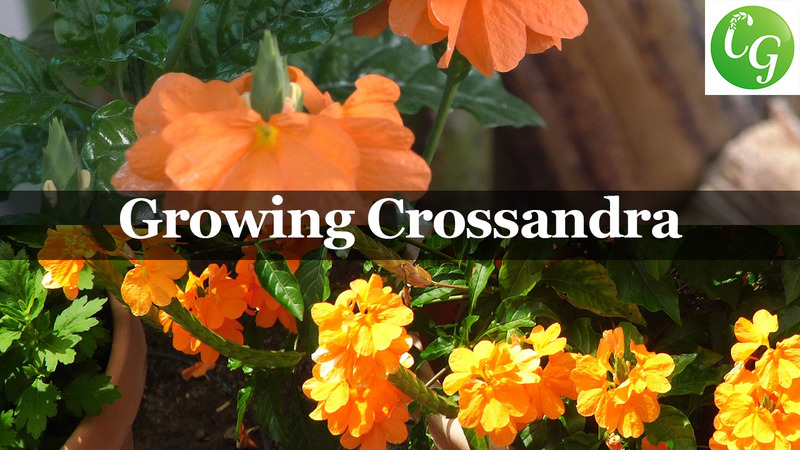 In today’s video, we look at how to grow the Crossandra Plant. 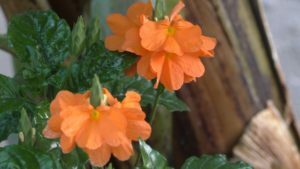 We look at two plant varieties – the Sundance Crossandra which produces orange flowers and the Firecracker plant which produces red flowers. Some species, especially Crossandra infundibuliformis, are cultivated for their brightly colored flowers. 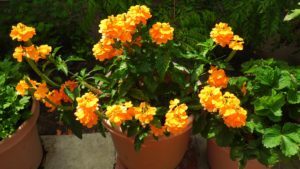 There are several variations of the Crossandra plant. The two most commonly available varieties are the Sundance Crossandra which is commonly available at your local gardening stores . It is sold as an internal houseplant which means that it grows in bright direct house light.We have also planted it outside and it grows pretty well. 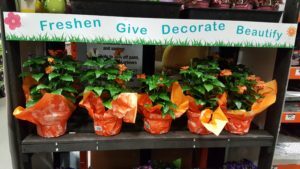 You can head over to Home Depot to find this Sundance Crossandra plant. The Crossandra plant comes packaged in this beautiful little package and it comes in a small pot. You can use a 16 inch container to plant and the soil to use for planting the Crossandra plant is a mix of peat moss, perlite and compost. If you want to make new container soils we do have a lot of guides on how you can make your own potting mix. This is one of the most commonly used mixes that at least we use in our garden and it does a great job! All you do is remove the plant from its container and then plant it inside this container that you just prepared. Loosen the roots a little bit on the bottom just to stimulate the root system. Fill around the plant with the rest of the container soil. You can grow this plant in indirect light like shade or some place you do not get direct sunlight. This plant cannot tolerate direct sunlight. It will die. And it also doesn’t tolerate frost. 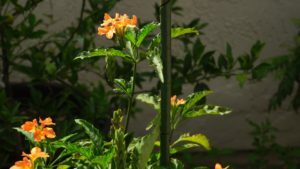 The Sundance Crossandra plant grows very well during the spring and summer months. In the winter season it goes dormant and then comes back up in the spring time. You can use a Drip Irrigation System to water your plant and use a fan bubbler spray. I have demonstrated a lot of drip irrigation techniques in my other videos. Now this plant flowers abundantly. It produces these bright orange flowers. They’re extremely beautiful! And the Sundance Crossandra plant also has shiny leaves which makes for an attractive house plant. It blooms throughout the spring and the summer season and produces these lovely flowers which will then turn into seed. The firecracker plant is the plant variety that produces red flowers. The reason its called the firecracker plant is because when the flowers turn into seeds, they get dispersed when they come in contact with water. You can easily grow this plant from seeds as well because this variety does produce these true seeds after the flowers have dried. We are growing our Firecracker plant in a 12” container, which is quite sufficient for growing the red variety of the firecracker plant. The flowers are a little darker orange or almost leaning towards red. And this is also a Crossandra plant variety just produces different colored flowers and it also produces these seeds which is why its known as the firecracker plant. The firecracker plant can actually tolerate a little bit of sunlight. It still prefers shade, but it will tolerate sunlight unlike the sundance variety, which does not tolerate a lot of sunlight.